Have you ever made a promise that you had to fight to keep? In December 2013, we watched the story of a promise that was finally fulfilled. Directing this 125 minute biography/comedy/drama/family/history/music is John Lee Hancock. 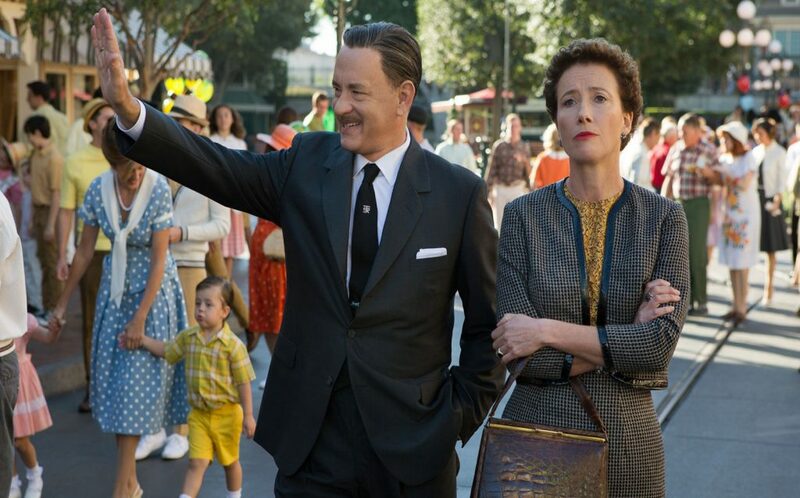 Taking us back in time is: Emma Thompson as P.L. 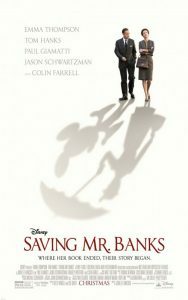 Travers, Tom Hanks as Walt Disney, Colin Farrell as Travers Goff, Ruth Wilson as Margaret Goff, Bradley Whitford as Don DaFradi, B.J. Novak as Robert Sherman, Jason Schwartzman as Richard Sherman and Paul Giamatti as Ralph. In 1964 Walt Disney released an amazing film called Mary Poppins. Making the film was a promise Walt had made to his daughters. To make this promise happen, Walt contacted the author P.L. Travers to strike up a deal for the rights to Mary Poppins. What Walt didn’t know was that it would take twenty years before he would see this deal happen. Walt was up against an author that was uncompromising. Travers didn’t want Hollywood to twist her work into something it wasn’t. Reluctantly, Travers finally met with Walt to iron out the deal for the movie. Problem was, Travers found there were a lot of wrinkles to iron out. I didn’t know anything about this movie going into it, and man I was blown away! It’s hard to know even where to start talking about this film. It’s a great storyline with a brilliant playthrough. Hanks, Thompson and Farrell were great, which is nothing new to be said for Hanks and Thompsom. Travers is a complex individual and Thompson did amazing work showing those layers. What I really liked about this film was the way it told two of Traver’s life stories and they intertwined beautifully with great transitions. Each turn just unfolded more and more of an understanding for what was going on with the characters. Yeah, it’s about Disney and Mary Poppins, but it’s not really a family movie. Where as I really enjoyed the movie, it’s a little too adult (life content) for the kids to enjoy, but is kid friendly. Summary : It's well worth the time to watch and it is very entertaining. It's rated PG-13 but does have alcoholism in the content.